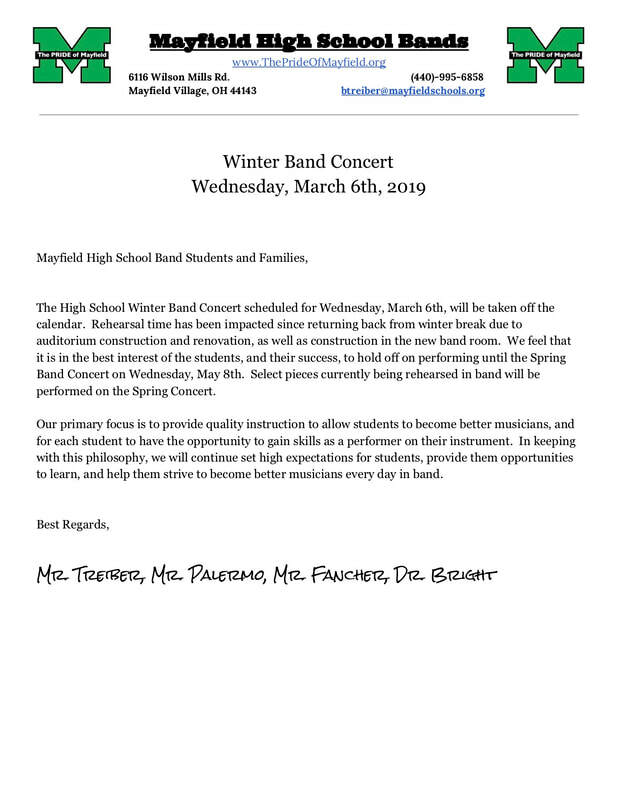 A friendly reminder that our High School Band concert scheduled for tonight has been cancelled. 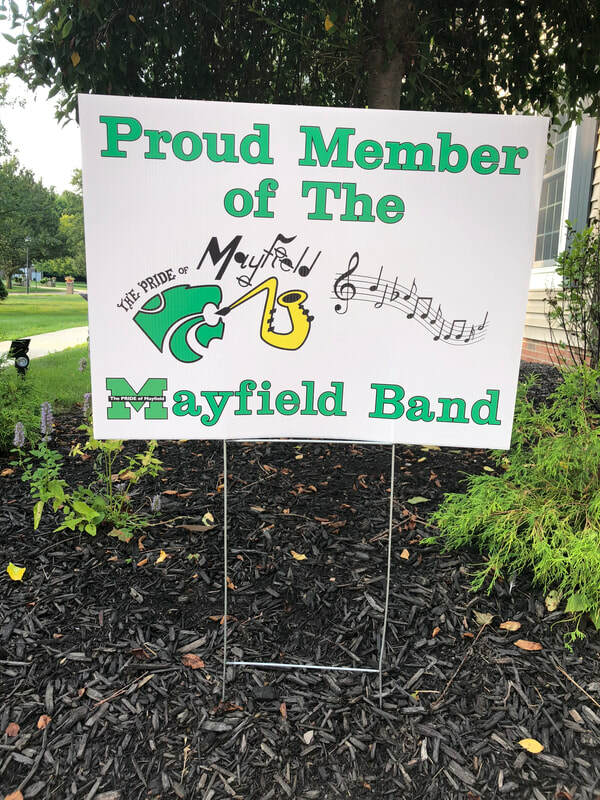 We look forward to seeing everyone at the Spring Band Concert on Wednesday, May 8th, at 7pm in the High School Auditorium. 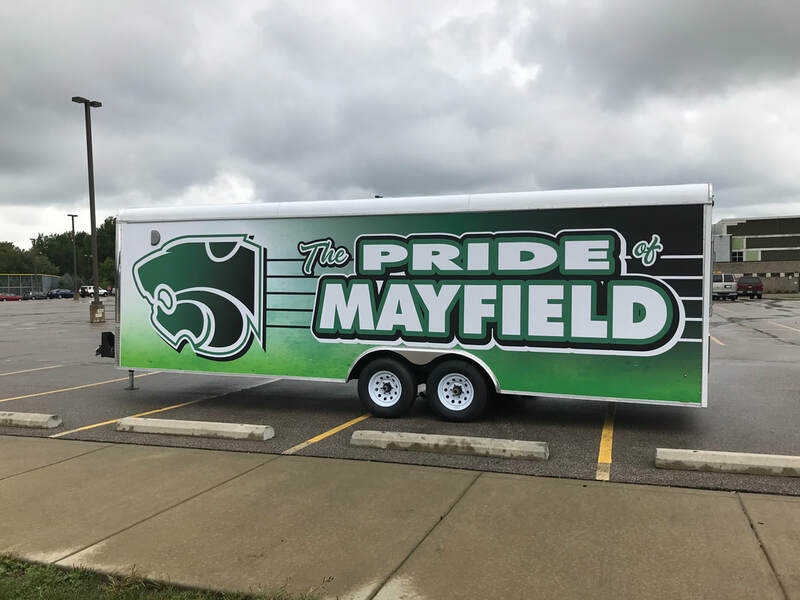 Congratulations to The 2019/2020 PRIDE of Mayfield Auxiliary!! Please open the document below to view the line! Call Time: 6:15 PM, please be prompt, we need to be set and ready on time!! Dress: Standard all black dress with green bow ties, provided, green accents for the ladies. Specific Call: Jazz Band members should be dropped off at Landerhaven Dock B, we are playing in the main ballroom. Dock B is labeled with a large red B above it. When you enter the parking lot turn to the right and head around the building counter clockwise until you see the loading docks. 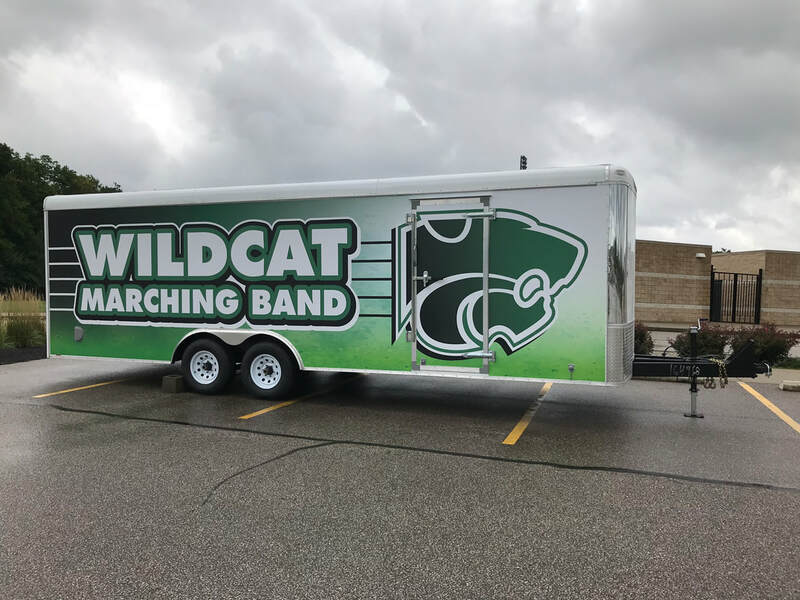 The door will be open, and is near to where the jazz band will be playing in the ballroom. The time has arrived to start our fundraiser for the Disney trip next November!! Students will begin selling pastries and other treats Tuesday, February 5th, all order forms are due by Tuesday, February 19th! Please stop back for more details tomorrow after the sale begins!! 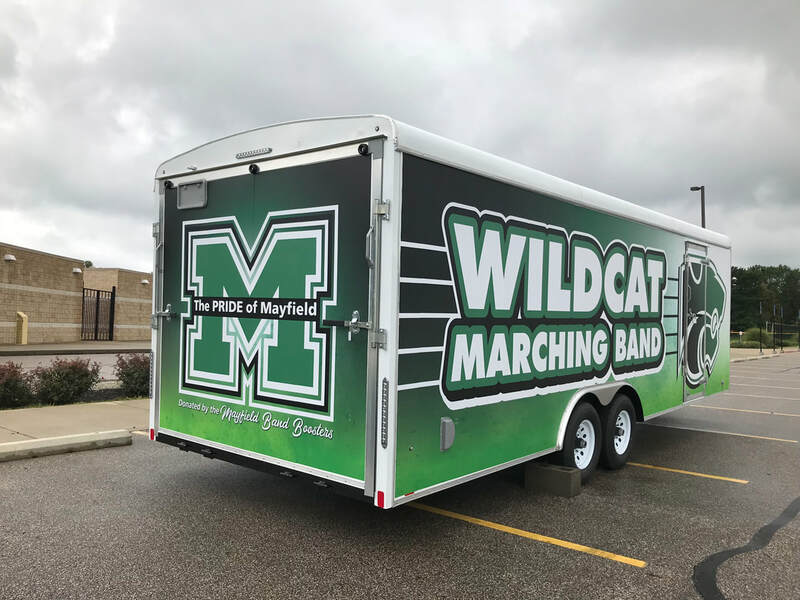 This is a great opportunity for band students to reduce the price of their trip! Students that are not going on the trip are still able to participate in the fundraiser to earn the prizes that are available! ​We look forward to a great sale!!! Please review the costume guidelines for the Halloween Show this Friday.